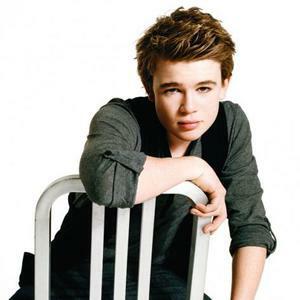 Eoghan Quigg (born 12 July 1992) is an Irish pop singer who finished third in the fifth series of the British television music talent contest The X Factor in 2008. As a result of his X Factor success, Quigg was due to be signed by Simon Cowell, X Factor creator/producer and owner and CEO of Syco Records, but was instead signed to RCA after Cowell's offer was withdrawn. Quigg released his first album titled Eoghan Quigg on 6 April 2009. Quigg released his first album titled Eoghan Quigg on 6 April 2009. "28,000 Friends" was recorded as a promo song and a music video was shot, however it was never released as a single. The album charted poorly in the UK, only making number 14 and spending only 3 weeks in the top 100. After some initial success on the Albums Chart in Ireland - where it debuted at Number 1 - the album soon began free-falling, from Number 2 on its second week to Number 20 on its third week. The album spent just a total of 8 weeks on the chart. The album received overwhelmingly bad reviews leading to Peter Robinson in an article for The Guardian claiming it to be "the worst album in the history of recorded sound" and that it was "so bad that it would count as a new low for popular culture". The album was mainly criticised for its complete lack of any original material, poor production and poor singing performance from Quigg. Following disappointing album sales, Quigg was dropped by RCA Records in July 2009 and currently remains unsigned.